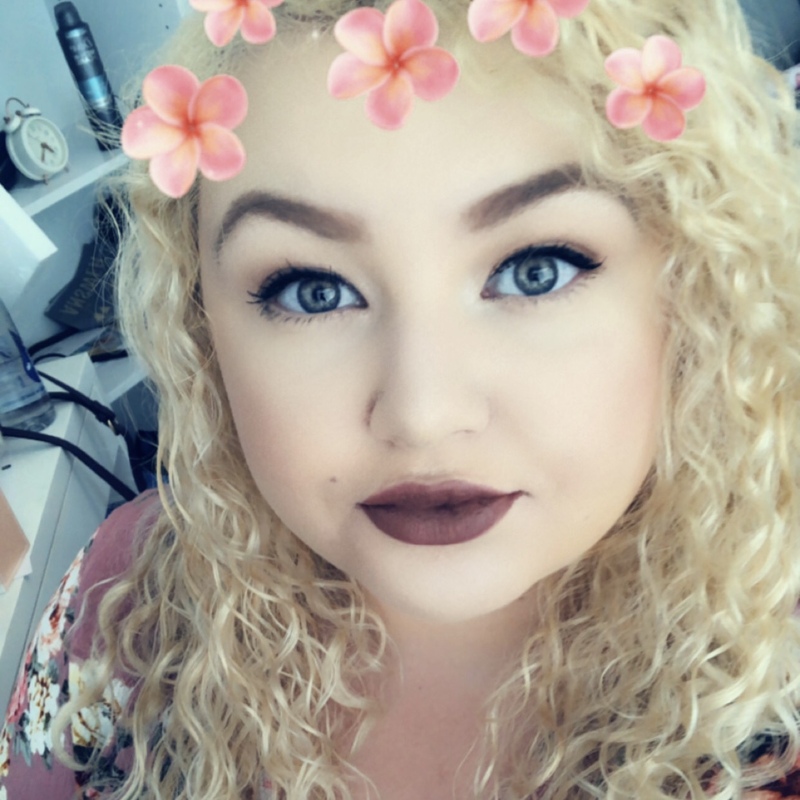 Wearing lipstick is something that gives me confidence, but I'm always worried that it will rub off on my chin or get on my teeth. I love liquid lipsticks as they help prevent this, especially matte finishes. 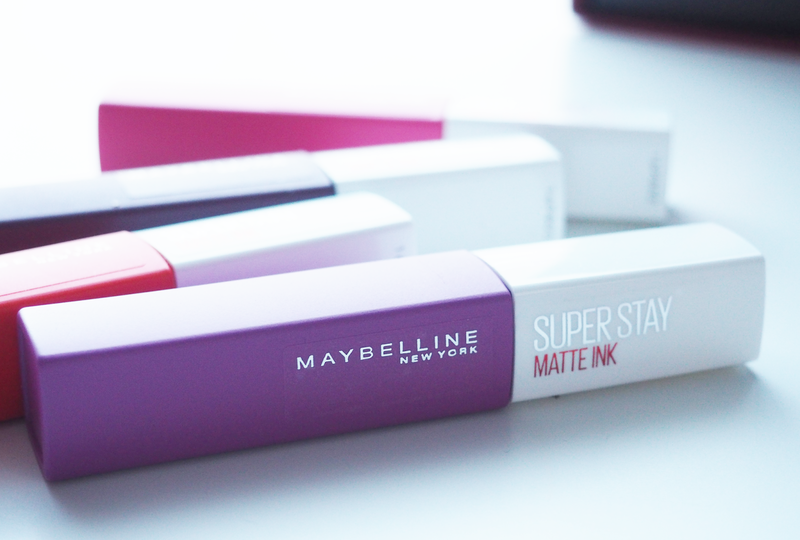 The new Maybelline Superstay Matte Ink Lipsticks (£9.99) come in a range of colours in a matte finish for '12 hour wear' with their high-intensity formula. There's a precise arrow applicator which is larger than I'm used to, but applying your liquid lipstick is much quicker when using this. The pointed tip helps define the bow of the lips too. 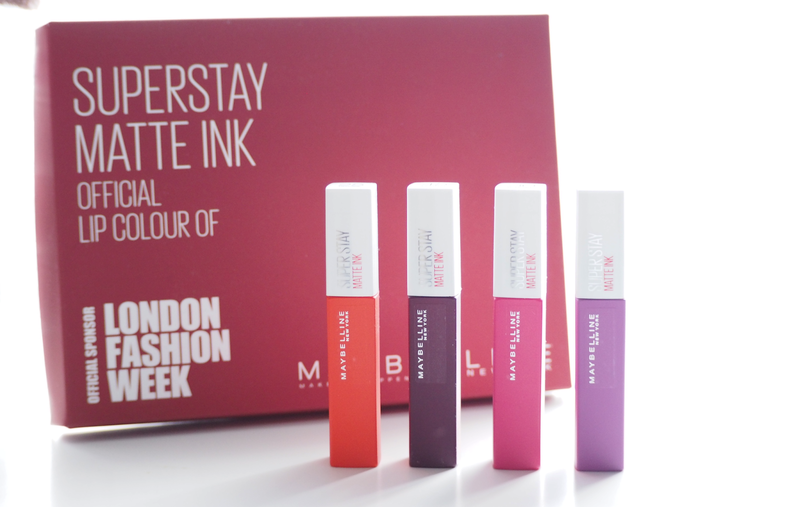 Maybelline describes the formula as "an intense ink colour concentration" that provides a flawless matte finish. 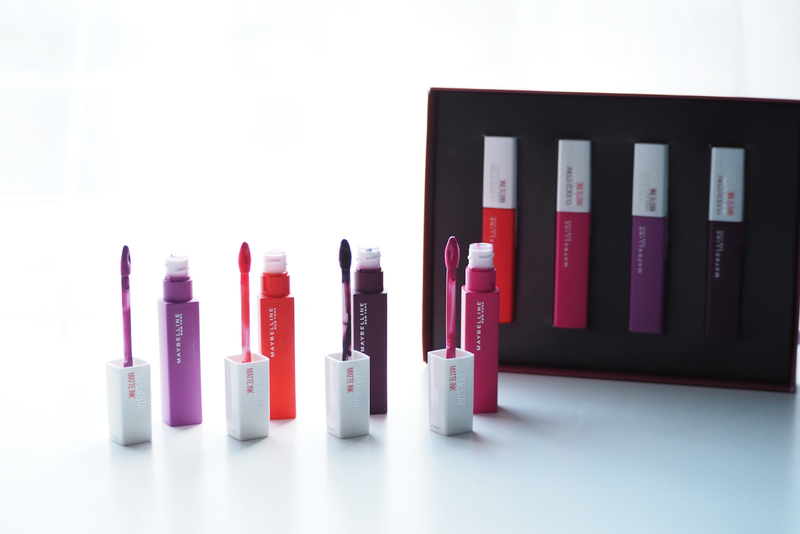 The formula for me is not ultra matte and takes longer than usual to try. It does bleed a little so definitely wear a lip liner with this too. The photo below shows them whilst they're drying and you can see, the thicker you apply it the longer it takes to dry properly. 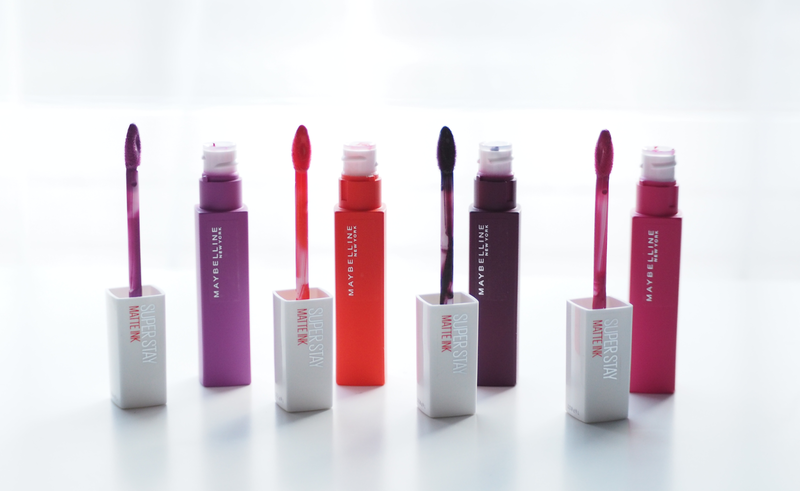 They're really comfortable to wear and they're certainly long lasting, with barely any transfer. 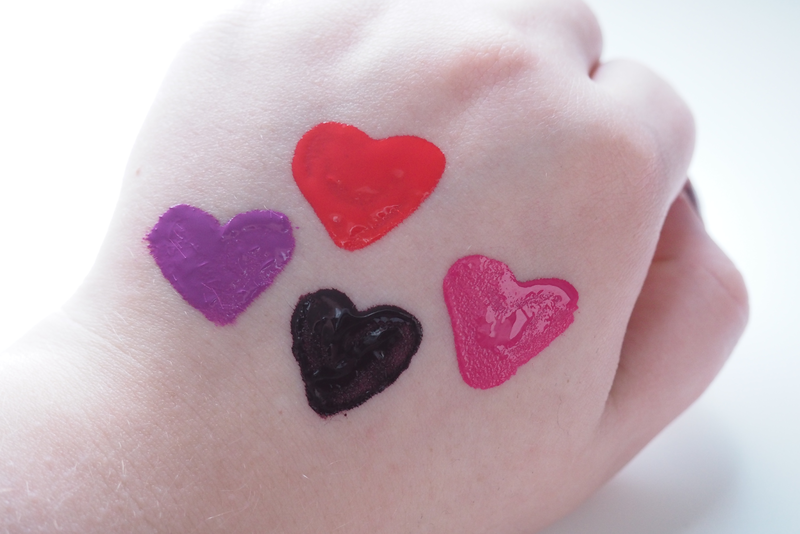 The colours I have, from lightest to darkest, are Heroine (an orange-red), Romantic (a hot pink), Creator (the perfect lilac) and Escapist (a vampy brown-red). From packaging to swatching, there is one colour that doesn't match up, and that is Escapist. On the packaging, it looks like a red wine-purple but when swatched and worn, it's quite a dark brown. Aside from this, the rest of the colours are pretty spot on which is pleasing. At the moment, there is an offer on for buy one, get one half price so it's worth checking out here.